Personally I would prefer guides of just a certain state or a smaller geographic area than say the east coast of the United States. Though I live in Rhode Island, I decided to pick up the subject of this blog as many species from Rhode Island also can be found in Pennsylvania. “Butterflies of Pennsylvania: A Field Guide” is exactly what a field guide should be and authors should take notice. What James L. Monroe and David M. Wright did with this 2017 release is set the standard by which all field guides moving forward should follow, with some minor exceptions! Not only does this book cover the basics, like all field guides should, it also takes it a huge step forward and includes detailed data that I have never seen before in a book of this kind. More on that later. The size of this book is perfect. Though it is too large to put in your pocket, it will fit perfectly in your backpack when you are out and about. I also love the way this book is set up. That’s a lot to cover in just the introduction! Keep in mind though that many of these topics are covered only briefly. Despite this, the important points are touched on and to be honest, the meat of any field guide is the species coverage. My only complaint in this area is under Butterfly Gardening. As more studies are done in this area it is becoming more evident that the use of native plants should always be the first choice. Non-natives, and even invasive plants, are listed to be used (though again, only a paragraph was given to this subject and in the end it is really up to the gardener and what they want to use). Perhaps if more space was allowed the authors would’ve gone into the subject of natives more. Since this is not a book on butterfly gardening, I will give the authors a little slack here. From there we are shown how to use the species pages and then we go into what the heart of the book is all about, the species themselves. 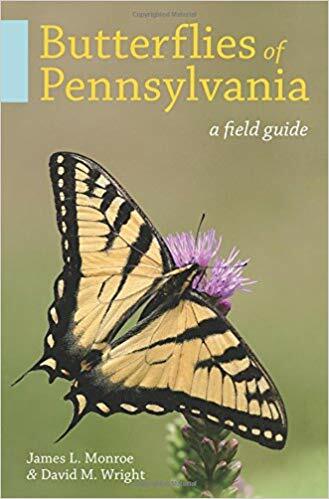 There are 156 recorded species of butterflies and skippers in Pennsylvania and every one of them is covered in this book. Ten other species are also included, some of which are strays from neighboring states. For each species, the following information is provided. Distinguishing marks, to help better identify similar looking species. Typical behavior, such as flight patterns, nectaring and anything else that may help identify a species. Habitat, to help better find each species in the wild. Larval hosts, to help find caterpillars in the wild or to raise them in captivity. Abundance, to help show the status of the species. Remarks, to include any other pertinent information that may help in finding and identifying the species, information on similar species, historical sightings and anything else that may be helpful. For every species covered, both males and females are shown as well as upper and lower wings! This is one of the most important aspects of the book, missed in so many of the field guides out there! Though they are not shown 1:1 scale, there is a two-headed arrow with each species showing the average wing span. Then comes two of my favorite parts. First is a map of Pennsylvania with every city shown. For each species, they are highlighted on the map for which cities that they have been recorded in. It doesn’t get any more detailed than that! From there, 40 years of data is presented showing a weekly breakdown of sightings, the approximate number of sightings and the first and last sightings of the year! What this means is that with these two sections, you know almost exactly where to look and when to look! The photos in the book are fantastic, making identification easy. It’s rare that both male and female forms as well as upper and lower wings are showcased. 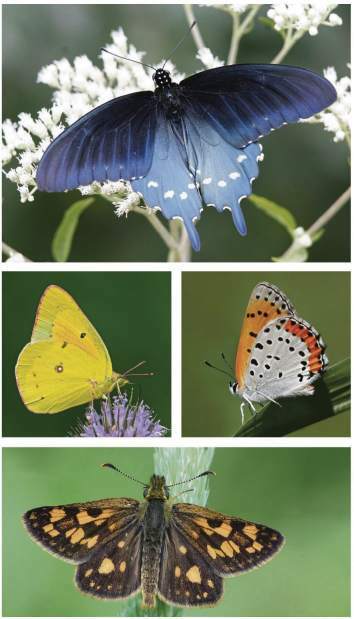 The photos are of mounted specimens though on occasion butterflies in the wild are also shown. Personally I am not a fan of skippers but at least here the images make identification a lot easier than in previous guides. And now the complaints, as no guide is 100% perfect. For this guide to be perfect it would’ve also needed pictures of the eggs, caterpillars and chrysalises. If they had included those, this would be a perfect field guide. The only other complaint I have is that when I got my copy, there was a sticker of the book’s title on the binding. Apparently, when this book went to print, no one noticed that the word Pennsylvania was spelt wrong on the binding. To correct it, they printed stickers to cover the misprint. The sticker on my book was put on poorly and arrived already starting to separate from the book. Hopefully future printings will correct this issue. Despite the few flaws I mentioned, this is still a must-have book if you have any interest in lepidoptera, especially if you live in Pennsylvania. I would like to see Monroe and Wright do more field guides covering other states. In my opinion, state-only guides are the way to go because they can be more precise and just cover the species you are going to encounter. If you’re like me, a guide covering everything in the United States, or even just the east coast, creates a lot of wasted time going through species you may never encounter in your state. Great job guys! You have a winner on your hands! 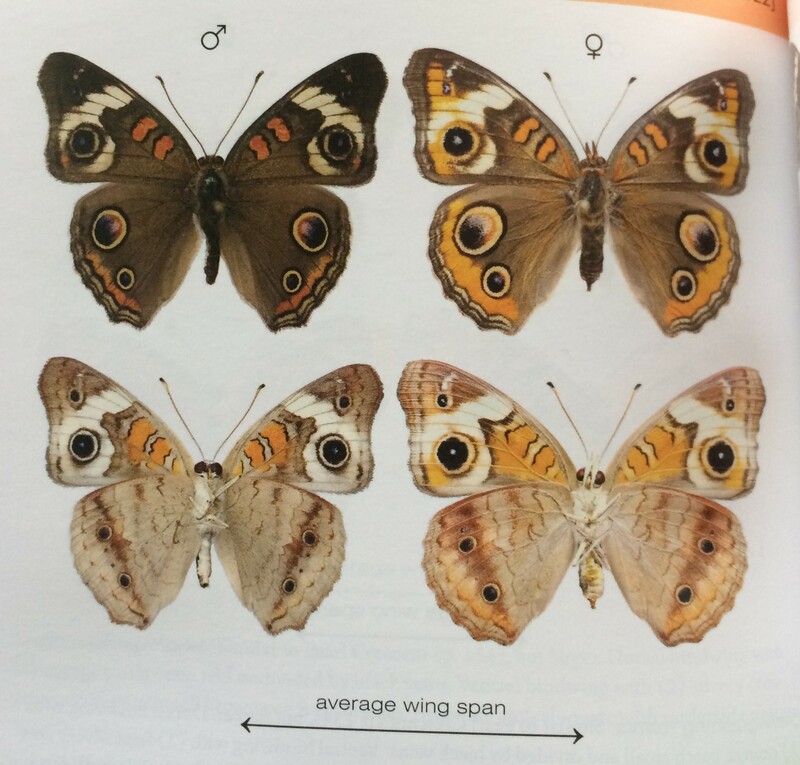 This entry was posted in Book review, Butterfly Field Guide and tagged A Field Guide, Butterflies of Pennsylvania, David M. Wright, James L. Monroe. Bookmark the permalink.